I started with a base coloring: the head was airbrushed in dark brown, then a light goldenrod coat was added over top, then a mid-brown coat on top of that. Once I had my base, I airbrushed highlights in yellow and shadows in dark black-brown. I used a small brush to paint the detailed divits in the head, then drybrushed a little around the eyes and nose. Black was added last in key points: eyes, lips and nose area. The flowing silk down the back of the head was laid flat and ironed, then painted with a 1" flat brush. 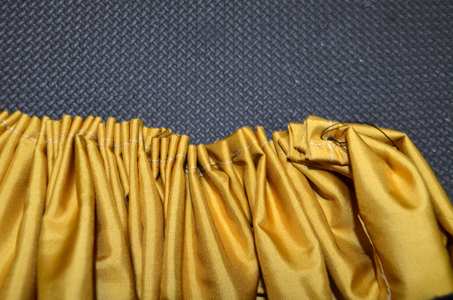 The silk was then carefully folded and sewn. 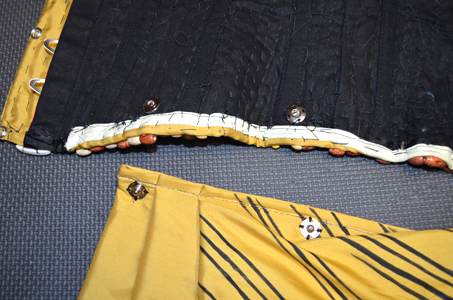 Snaps were added to the silk and the inside of the corset so the silk would hold when the headdress was folded up into the corset. I hand stitched a thread through the other end of the silk to gather it. 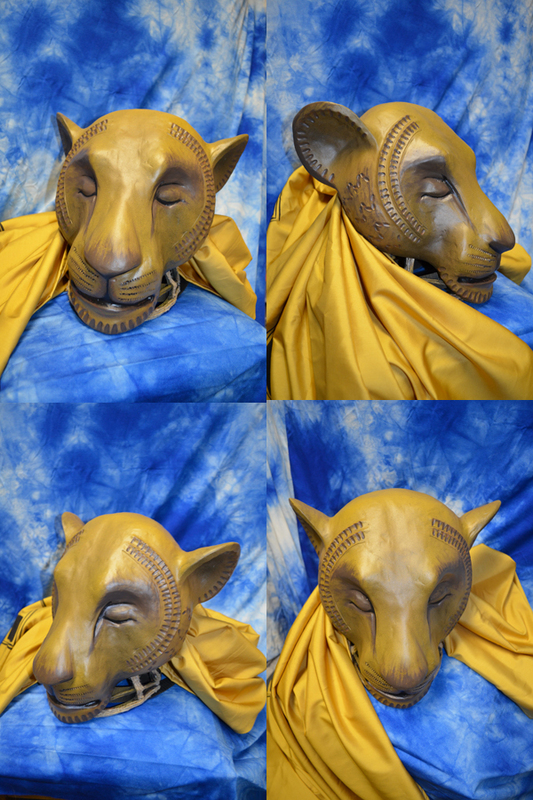 This gathered silk was then glued to the inside of the lioness head. 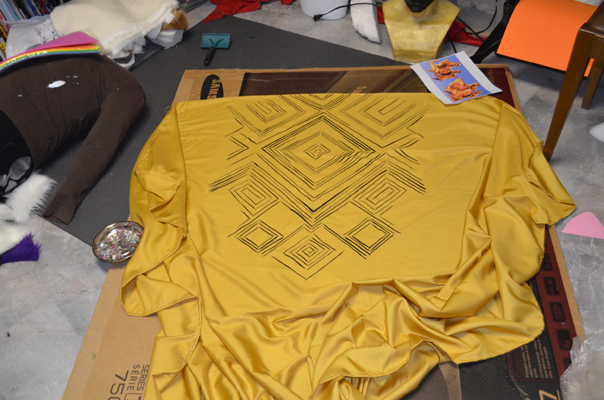 The unitard was painted with a flat 1" brush similar to the silk. I used a flesh tone spandex for the unitard. Here's a quick test photo to see how everything fits together! 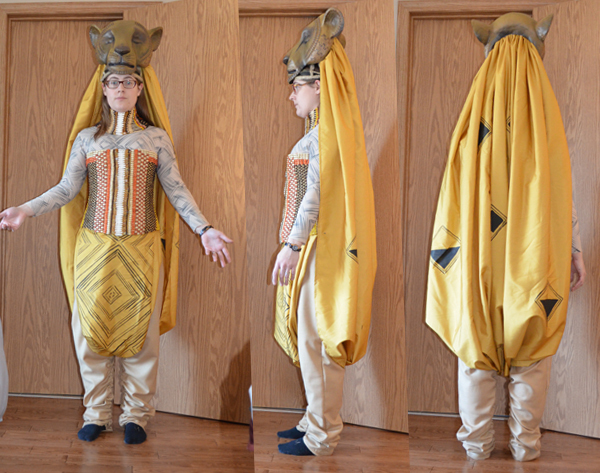 I just need to add hand loops for the headdress silk! So nearly done! Yay!